Do you like superheroes? 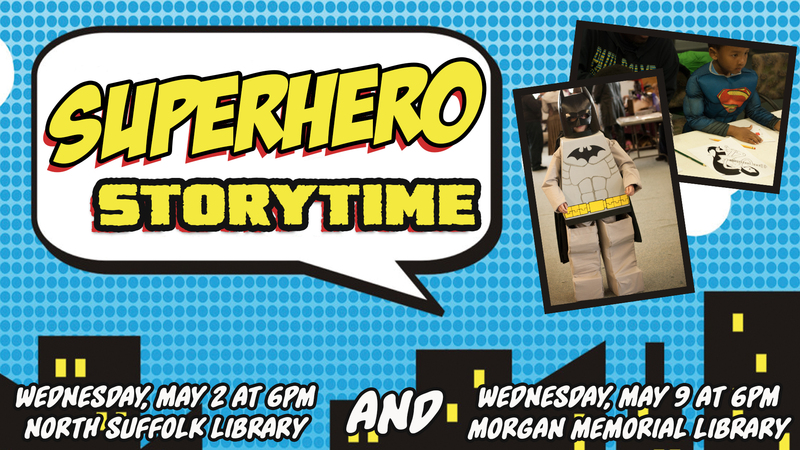 Dress as your favorite superhero character and join us for Superhero Storytime! This is a family friendly storytime featuring superhero stories, music, and crime fighting challenges.